The rate of Value Added Tax in the tourism and hospitality sector is to rise from 9% to 13.5%. In his Budget address, Minister for Finance Paschal Donohoe said a review of the 9% VAT rate had found that the measure had "done its job". He said in the new economic reality it was appropriate to increase the rate of VAT in the tourism sector to 13.5% from January 2019. This will raise €466m in 2019. He said he was conscious that the change may present a challenge to the industry. 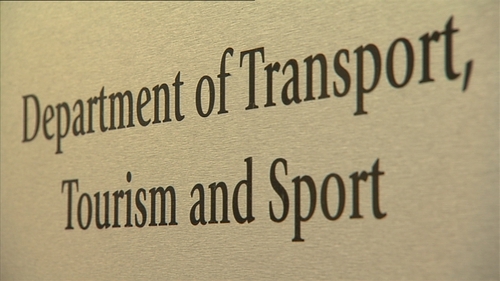 To address this, the minister said he was allocating €35m to the Department of Transport, Tourism and Sport to provide more targeted supports to the sector. This would include €4.5m for regional initiatives such as Ireland's Hidden Heartlands and the Wild Atlantic Way as well as nearly €10m for further development of the greenway network. Minister for Trourism Shane Ross has said the €35m has been in response to the VAT increase. The Independent Alliance had strongly campaigned during the budget process not to increase the VAT rate. Mr Ross also rejected calls by some in the restaurant sector who said he should resign due to the increase. There has been sustained reaction to the increase in the tourism VAT rate. The Restaurant Association of Ireland said there was little economic intelligence behind the decision and that it didn’t take Brexit into consideration. "VAT at 13.5% reduces Irish Tourism’s competitiveness, resulting in less appeal to overseas visitors and, most worryingly, impacts the value for money offering which discourages people to spend their money in Ireland on Irish goods and services," Adrian Cummins, CEO of the Restaurants' Association said. He pointed out that the VAT rate for tourism is now higher than 26 other countries in Europe. The Irish Tourism Industry Confederation expressed what it called 'significant disappointment' with Budget 2019 and particularly the decision to increase the tourism Vat rate from 9% to 13.5%. "The tourism VAT rate had been at the appropriate rate for the sector and hiking it by 50% as the Government has done today is a damaging blow to the industry," Eoghan O’Mara Walsh, CEO of ITIC, said. "The increase in the VAT is likely to damage demand and, with Brexit less than 6 months away, this is extremely worrying for Irish tourism and will make trading conditions much harder for business." The Vintners’ Federation of Ireland says described the VAT increase as a 'shocking and retrograde step' that will cause excessive damage to the sector. "Removing the 9% VAT rate will introduce uncertainty and undermine confidence in many pubs selling food who are already worried about their exposure to the effects of Brexit," Padraig Cribben, Chief Executive of the VFI said. "Publicans in areas of the country where the recovery is weak will be disproportionately affected. "The VAT increase will reduce competitiveness and force many of those pubs to cut staffing levels. It is simply impossible for most business owners to absorb this increase. Accounting firm Deloitte said the increase in the VAT rate would mainly impact hotels, other short-term guest accommodation providers and restaurants, but will also apply to other areas including cinemas, theatres, hairdressers, museums and art galleries. "Critically the increase in the VAT rate will not have any impact on the already high rents being charged in the residential letting market as, in contrast to holiday type accommodation, that accommodation is exempt from VAT," John Stewart, Tax Director at Deloitte said. "The 9% rate was introduced initially for a three year period following a deep recession and has cost the exchequer an estimated €490m in 2017 and €2.6bn in lost VAT revenue since its introduction," he added.